Art lovers on Mykonos will be spoilt for choice this summer with a wealth of exhibitions being held featuring renowned Greek and foreign artists. The Municipal Art Gallery of Mykonos, housed since 1952 in the home of Mykonian painter Maria Inglesi in the center of Hora, hosts a rich program of exhibitions, both in its historic central building and in its two annexes. A standout is the group exhibition with a focus on Mykonos as depicted by great 20th-century artists (see below). 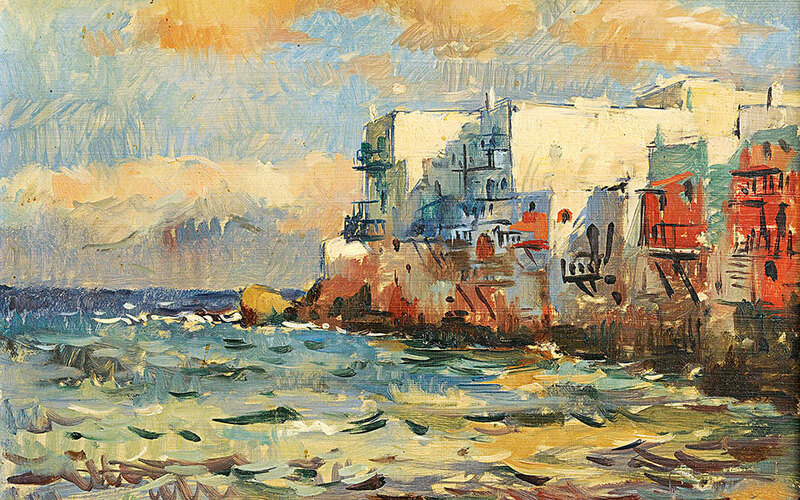 The exhibition “Mykonos through the Gaze of Artists: From the Interwar Years to 1960” in the Matogianni and Kalogera halls will, for the first time, present works by celebrated visual artists who lived and worked on Mykonos in the early to mid-20th century, and who were inspired by the island’s light, landscape and architecture. The works are drawn primarily from private collections. The exhibition will also feature archival and photographic material. A series of interesting solo exhibitions featuring artwork by Greek and foreign artists will see works go on display by the internationally renowned Lebanese artist Hawini (until 30/06, Kalogera Hall), a series of oil-on-canvases by the up-and-coming painter Vasilis Antonakos (1-10/08, Kalogera Hall), mosaics by Dimitrios Chorianopoulos (21-31/08, Matogianni Hall) and religious icons created by Nana Georgi and Angi Stathopoulou using Byzantine techniques and egg tempera paint (11-20/08, Syrioti Hall). There will also be a display of handmade jewelry by Lilian Syrigou (21-31/08, Syrioti Hall), photographs by Maria Rampia in an exhibition titled “Memories of Light” (1-10/09, Matogianni Hall) and sculptures inspired by Delos, executed by Petroula Oikonomopoulou (11-20/09, Kalogera Hall). Last but not least, the group exhibition “Artists of Mykonos” will feature a wide range of works created by local artists (21-30/09, Kalogera Hall). Seven decades after he first visited the Mykonos Annex of the Athens School of Fine Arts, acclaimed visual artist Costas Tsoclis returns to the island in collaboration with ASFA and the National Museum of Contemporary Art to inaugurate the new Mykonos Art Festival with one of his installations. The festival’s program also includes concerts by prominent Greek artists (George Dalaras, Lavrentis Machairitsas on 12/07, Eleonora Zouganeli on 31/08), theater performances from the Athens-Epidaurus Festival and a film section (titled “Food in Cinema”) at the open-air Cine Manto, organized by the Thessaloniki International Film Festival in collaboration with the Gastronomy Club of Mykonos (28 and 30/09). 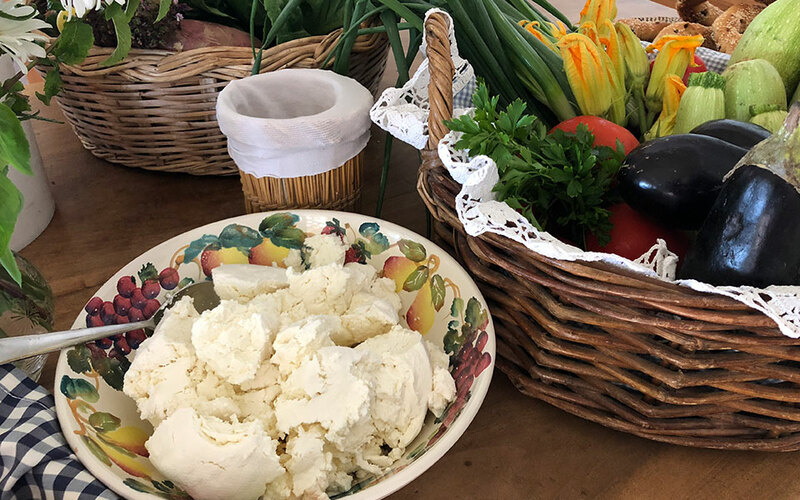 Mykonian tyrovolia, a fresh sheep’s and goat’s milk cheese that is used mainly to make the delicious local pies, will be the star of the show at the festival organized by the Gastronomy Club of Mykonos in cooperation with the Charitable Foundation of the Municipality of Mykonos for the Environment, Education and Development. The main activities – including street cooking in Hora and Ano Mera, visits to working dairies and food-tasting evenings – will be augmented by events such as art exhibitions, puppet theater performances, music evenings and screenings of short films. 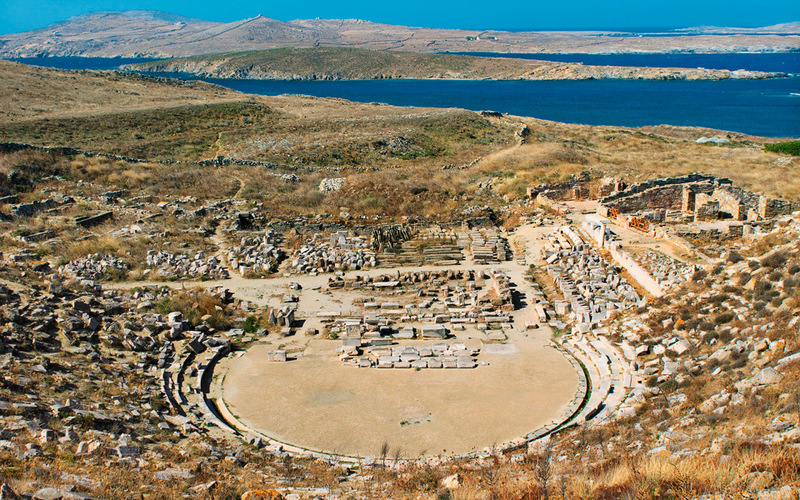 The Ancient Theater of Delos returns to life for only the second time in 2,100 years. Following the successful performance of Ekavi (Hecuba): A Refugee on Delos, the theater will now see a production of Hera, with a libretto by Elsa Andrianou, director of studies of the Drama School of the National Theatre of Greece, and music by the acclaimed composer, theater director and deputy artistic director of the National Theatre of Greece, Theo Abazis. Hera will grace the Delos stage for only two performances. The one-act work, which in terms of style strikes a balance between opera and contemporary music theater, addresses the fear of mortality and the tedium of immortality. The performance will begin at 17:00, and there will be limited seating, minimal scenery and props, and no microphones or amplifiers. The two-volume catalog of the exhibition “Vanity: Stories of Jewelry in the Cyclades,” which is currently being hosted at the Archaeological Museum of Mykonos, comes in an impressive silver box and tells the story of seven millennia of jewelry-making on these islands. It’s a narrative driven by vanity and the human desire for adornment as a means of projecting beauty and power. The book features the 230 archaeological finds from 19 islands that are on display at the exhibition, as well as creations by modern designers who draw their inspiration from antiquity. The production of this stunning coffee-table book was overseen by Kois Associated Architects, who were also responsible for staging the exhibition, with graphic design by the studio About and photography by Errikos Andreou, Apostolos Koukousas and Giorgos Sfakianakis. The catalog is available at the Archaeological Museum of Mykonos (€80). 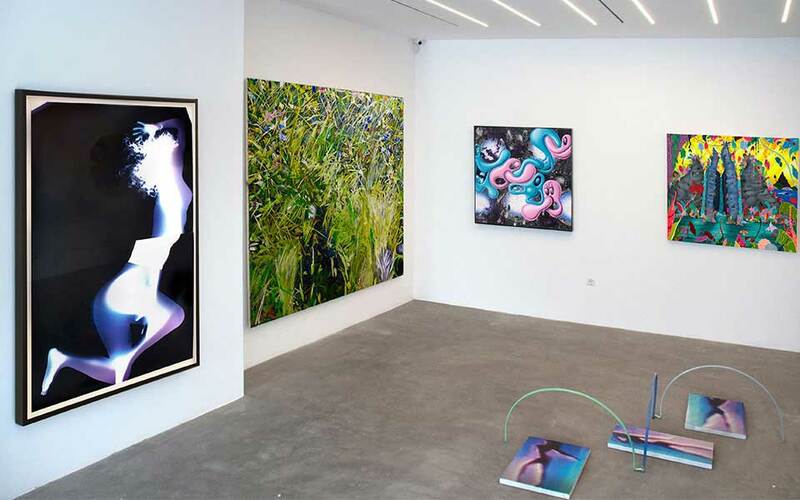 The highly active gallery welcomes the island’s visitors with solo shows by two important French artists. He has collaborated with major figures in the world of music, such as Madonna and the Red Hot Chili Peppers, has contributed works to famous shows and festivals, and had pieces in his first show in Hollywood in 2008 sell for prices in the 5-digit range. The international press has noted that his style shares an impressive resemblance to that of Banksy – a fact that has invited speculation that the artist who signs his works as Mr Brainwash is also behind the Banksy phenomenon (he consistently denies this). 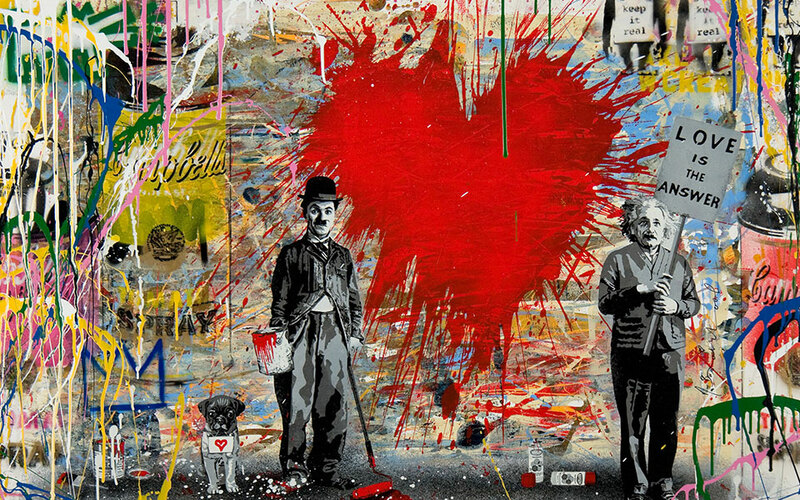 Mr Brainwash is the pseudonym of the French director and street artist Thierry Guetta, who draws inspiration for his works from history, popular culture and the history of art. His fundamental philosophy is that in art, everything is allowed. “Art doesn’t have rules. There is no manual,” he notes. The exhibition at the Kapopoulos gallery is his first in Greece. 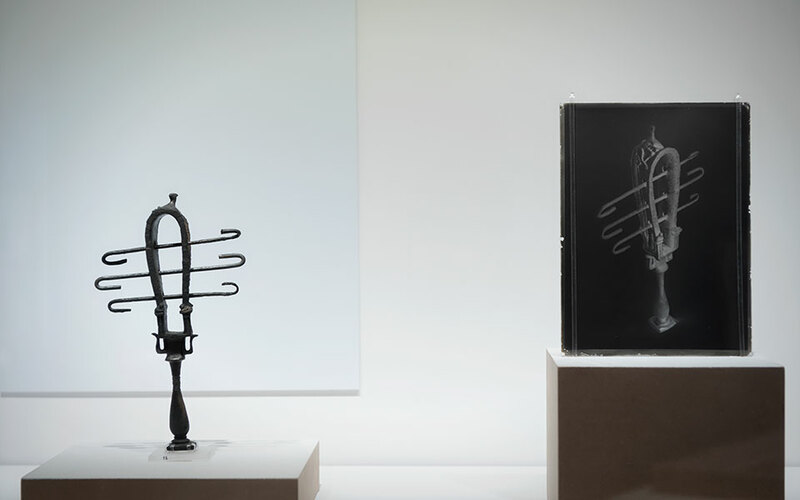 Guetta’s solo exhibition is followed by that of the French sculptor, Richard Orlinski. The talented pop artist, who draws inspiration from Jeff Koons and Takashi Murakami, will present several of his most famous works including colorful panthers, impressive dinosaurs and black, glossy crocodiles. “Nothing is done by chance or for decorative purposes. Every sculpture hides a symbolism, through which a story unfolds,” he says of his work. Rarity Gallery plays host to video installations by the Swiss artist Marck from his recent participation in Scope Basel. The work of the innovative creator which combines sculpture, architecture and video art revolves around the world of human emotions. Marck explores the ways in which people react to the obstacles and limitations that they encounter in life. Part of his work involves locking women in metal boxes and then filming them as they seek a way out. The constricted spaces operate symbolically, at once reflecting our limited room for maneuver under difficult circumstances, as well as underlining the faith people have that a solution can be found. With references to street art, graffiti and pop culture, the group exhibition “Nostalgia is a Dirty Liar” reawakens memories of childhood innocence. Among those taking part are: Stathis Alexopoulos, Melina Koan, Antonis Kiourktsis, Nikos Lagos, Alexandros Maganiotis, Thanasis Lalas. 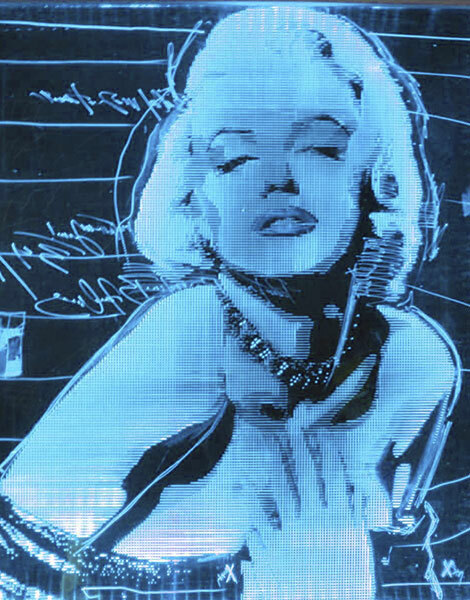 The exhibition “Homage to the Legends” is an ode to pop art, the most popular art movement of the 20th century, and its two key American practitioners, Andy Warhol and Keith Haring, presenting works by Jeff Koons, Patrick Rubinstein and Dimitris Likissas. 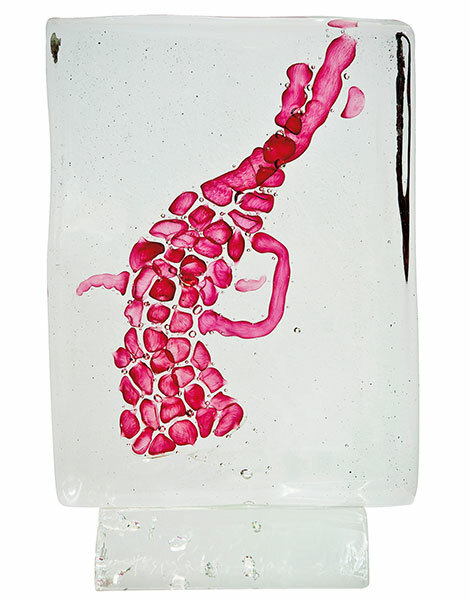 A solo exhibition by the Greek-American, internationally renowned artist Philip Tsiaras, with Murano crystal sculptures from his series “Glass Suns”. The group exhibition “Toy-Room” features pop art works relating to the theme of toys and euphoria made using various media by Greek and foreign artists. Participants include Kate Garner, Raphael Rack, Christof Paul, Sibel Niksarli, Elsa Kitsou and others. The group exhibition “A Glimpse of the Masters” makes references to important trends in the Greek and international art scenes in the 20th century through original artworks and screen prints by famous artists, such as Niki de Saint Phalle, Andy Warhol, Pavlos, Panayiotis Tetsis, and others. 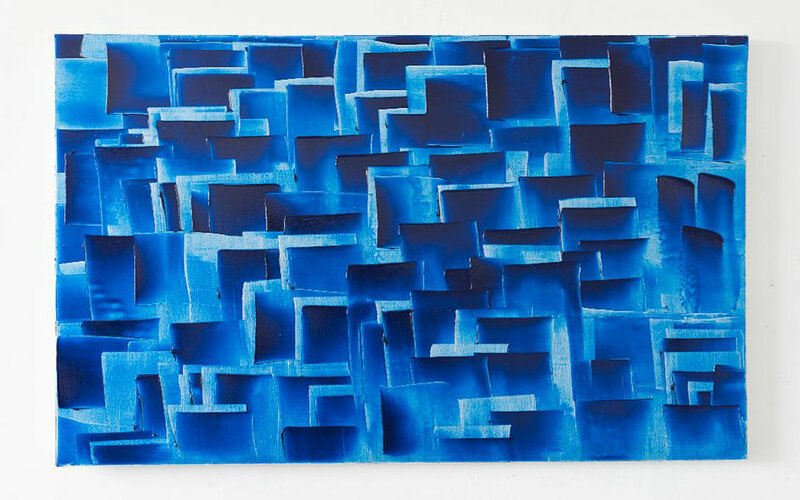 Minima Gallery will host a solo show by Brazilian abstract artist Renato Freitas with 20 new oil paintings, acrylics and works featuring mixed techniques. Having participated in many group shows at museums and galleries around the world, Freitas is considered one of the most promising members of the new generation of abstract artists. Dancing Goddesses is a group exhibition featuring 16 international artists. 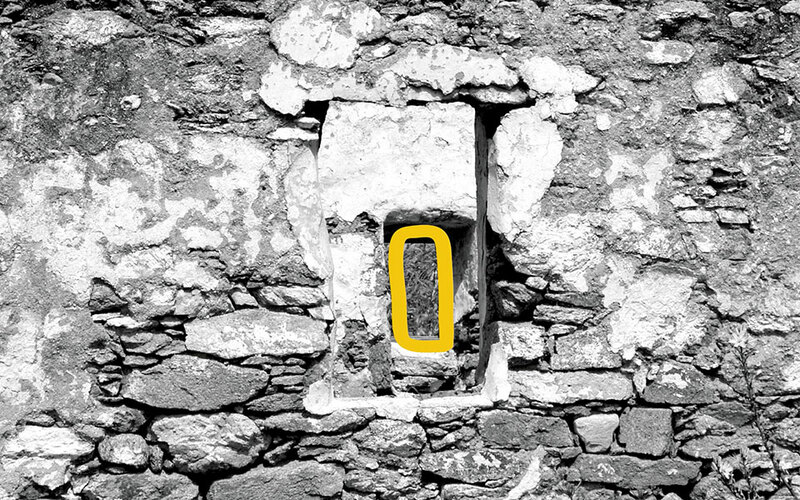 Conceived and curated by Marina Vranopoulou, the show will open on May 27 on the island of Mykonos at Dio Horia. The exhibition takes as its starting point a catalyzing episode that took place in the island of Delos that transformed the island’s nature and defined its heritage. In Ancient Greek mythology, Delos, a once floating, personified island, gained its name and position by accepting to become the birthplace of ancient twin deities Apollo and Artemis. During the Peloponnesian War, the city-state of Athens purified the island by removing all of the dead bodies and exiling its inhabitants. Thus, Delos was rendered both as a deathless and birthless place. While embarking on a fragmented, almost surrealistic narrative, this exhibition focuses on the corrupting relationship between civilization and nature. The works of Μaja Djordjevic in oil and enamel resemble doodles created on a computer. In her solo exhibition “I Will Find You” she presents autobiographical works, through which she attempts to understand herself and her broader social environment. A solo exhibition by the Mexican sculptor and performance artist Raul de Nieves. His artworks, made with thread, beads and shiny materials reference his childhood years in Mexico where he was taught to sew and crochet. Having participated in the latest documenta art fair in Kassel and in MoMa PS1, Nieves is seen as one of the most exciting artists of his generation. Peter McDonald creates colorful compositions drawing inspiration from his daily life. “Inspiration can come from anywhere: you see people playing in the park, looking in the windows of hair salons, in gyms, at parties and social gatherings” the Anglo-Japanese artist says. With large, colorful balloons instead of heads, the people in McDonald’s paintings look happy, and that is precisely the emotion he wants to impart to all those that see his paintings. A solo show by Despina Stokou, a Greek and permanent resident of Los Angeles. Stokou’s work explores important political questions and the way that these are communicated and commented on in the public sphere. Her works include fragmentary excerpts of texts which are made up of words ‘borrowed’ by the artist from the public dialogue and which satirize the upheaval and confusion created by the mass media in covering an event.